The frequency of the use of the words data and information are very high in our daily lives. Depending on the context the meanings and use of these words differ. Both data and information are types of knowledge or something used to attain knowledge. Though used interchangeably, there are many differences between the meanings of these two words. Information can be explained as any kind of understanding or knowledge that can be exchanged with people. It can be about facts, things, concepts, or anything relevant to the topic concerned. 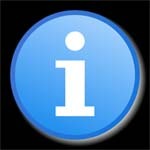 The word information was derived from Latin. The verb from which it is derived is informare, which means ‘to instruct’. It also means giving form to an idea or fact. Data is the plural of the Latin word datum. It can mean ‘to give’. In the realms of mathematics and geometry, the terms data and given are very often used interchangeably. This is how the term was derived for use in computer realm. If data is at the lowest level in the series, information is placed at the next step. As an example, if you have a list on the Seven Wonders of the World, that is a data; if you have a book giving details about each wonder, it is information. Data can be in the form of numbers, characters, symbols, or even pictures. A collection of these data which conveys some meaningful idea is information. It may provide answers to questions like who, which, when, why, what, and how. The raw input is data and it has no significance when it exists in that form. When data is collated or organized into something meaningful, it gains significance. This meaningful organization is information. Data is often obtained as a result of recordings or observations. For example, the temperature of the days is data. When this data is to be collected, a system or person monitors the daily temperatures and records it. Finally when it is to be converted into meaningful information, the patterns in the temperatures are analyzed and a conclusion about the temperature is arrived at. So information obtained is a result of analysis, communication, or investigation. 1. Data is the lowest level of knowledge and information is the second level. 2. Data by itself alone is not significant. Information is significant by itself. 3. Observations and recordings are done to obtain data, while analysis is done to obtain information. Manisha Kumar. "Difference Between Data and Information." DifferenceBetween.net. October 12, 2009 < http://www.differencebetween.net/language/difference-between-data-and-information/ >. Thank very much for all of them.Now i can separate data from information. Simply put we can say that ‘data which makes sense is information’. I also like this very much.It help me to learn my exam question. thnks a lot, this really helped me with my assignment! I appreciate these answers. The examples are relatively so simple that a layman can too understand without efforts. thanku for giving me the useful information, . Data is basically raw facts and figures. and information is knowledge. both are informative. Great article about “information”, but a small error regarding “data”. “Data” is the plural of “datum”. It is incorrect to say “this data”, “data is”, etc. ; the correct phrasing with “data” is always, for example, “These data are…”.